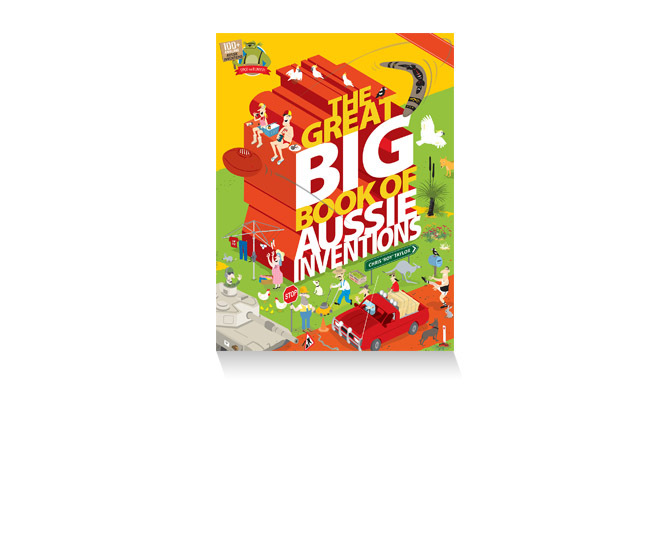 The Great BIG Book of Aussie Inventions takes you on a colourful, panoramic journey from the Aussie bush to the cities and coast and introduces you to some of the weird, whacky and amazing inventions that have come from the land Down Under. Most people know popular Aussie inventions like the Boomerang, the Hills Hoist and the Lamington. But did you also know that Aussies invented the Army tank, Plastic money and Electric drill?